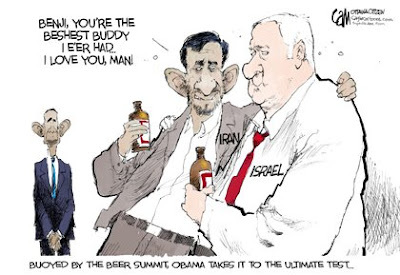 Not the happiest bunch of beer buddies. The media was intensely interested in what was brewing at the Whitehouse last week. One newscast I watched referred to it as Ale to the Chief! 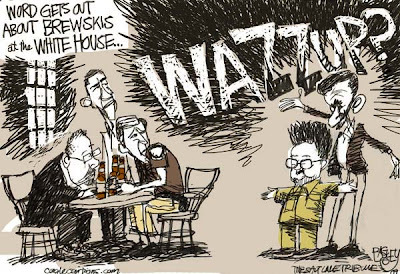 Dubbed the "Beer Summit", the meeting over a few cold ones was the brainchild of President Obama who thought getting maligned Harvard Professor Henry Gates, mistakenly arrested for breaking into his own house, and arresting officer James Crowley together might be a good idea - not to mention a good photo-op. It might also help put the President's knee-jerk, misspeaking "bad" behind him. 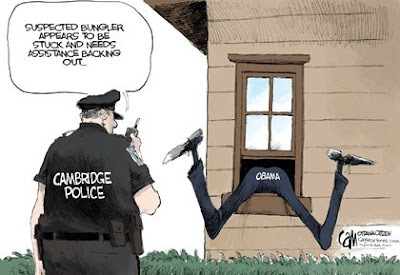 Obama had referred to the Cambridge police and Officer Crowley in particular as "acting stupidly". 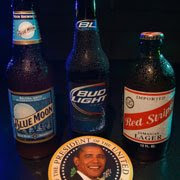 According to the White House, the drinks of choice were Bud Light for Mr Obama, Blue Moon for Sgt Crowley and Boston local brew Sam Adams Light for Prof Gates. 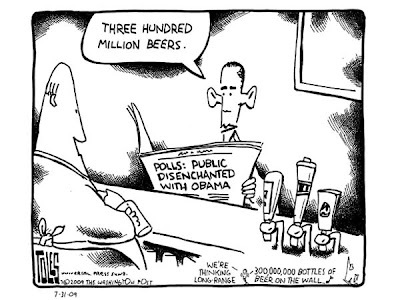 It was originally reported Professor Gates had chosen Red Stripe, moving Doonesbury cartoonist Garry Trudeau to tweet under his Twitter personae @Roland_ Hedley that the suds summit was very patriotic considering it was Red, Light and Blue. 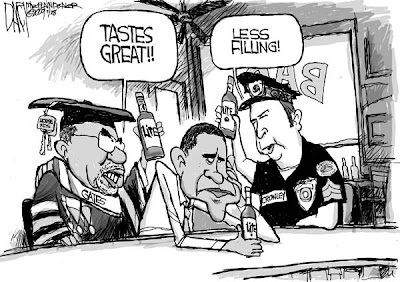 Vice President Biden drank a low-alcohol Buckler - 'nuff said. There was a bunch of good material to work with that week no doubt. However, I think the "fun" is only beginning. I have a feeling Obama and his minions will provide plenty of future fodder for the 'public. 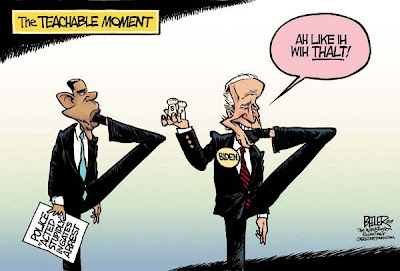 I loved it..I agree with what Don said, lots of good material brewing around in me head..Looking forward to more Obama miscues..This was better than anything Sarah Palin could have done..Loved the cartoons.. Loved the funnies, they all made me chuckle. Regarding what happened? I can't wait to see what the Prez does next. Who said politics ain't funny? Don: I guess the honeymoon's over and the comics, Late Nihgt hosts and editorial cartoonists now have something to work with. MegaMan: Are you saing Palin's more statesman like? C'mon. Quirks: It's what gives us all so much to laugh at. After all, we voted these guys in. Is there nothing that a cold beer on a hot summer day can't solve? As long as I keep sucking back the cold ones, I'm not responsible! I heard someone say last week that they can't believe this Prez is just as easy to make fun of as the previous Prez! Obama-rama-ding-dong is so full of mis-steps! He's got to be the dumbest person I've ever seen in a suit! But he is worth a laugh now and again :) These cartoons were hilarious! Cat Lady: I'm with you! Winky Twinky: The honeymoon seems to be over, considering the reaction to the stimulus and health care. Wonder what's next. 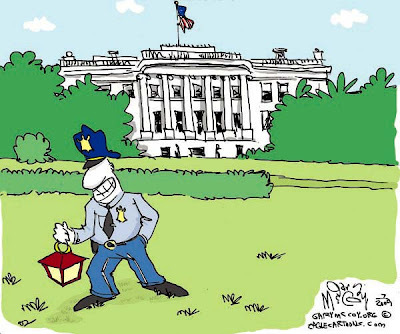 Skye: I love looking back on the week's editorial cartoons. There's usually some zingers.